If you’re looking for children’s party magic, please click here. with a touch of magic. less formal affairs, Paul can help. 100th birthdays last year alone. Entertain your guests inbetween courses, at their table. A cross between the mini cabaret and the strolling magic. All guests (who wish to) get to experience the magic. Fantastic !! All our guests were asking "where did you find him?? ".He was entertaining, funny and most of all the magic was brilliant - can't praise him enough. Our party was for my daughters 18 - but had a mix of teenagers and family alike - and everyone and I mean everyone thought he was brilliant. He was a professional, engaging, likeable, funny, intelligent, fabulous magician that we would recommend time and time again. Paul came to a family party at relatively short notice and was absolutely fantastic. He helped make it an occasion that people will be talking about for years. He embraced the event and held people from the ages of eight to eighty-nine absolutely enthralled. The look on people's faces during the close-up magic was an absolute joy. There were some specific elements to our event that we asked for, and Paul accommodated these enthusiastically and with assiduous preparation. 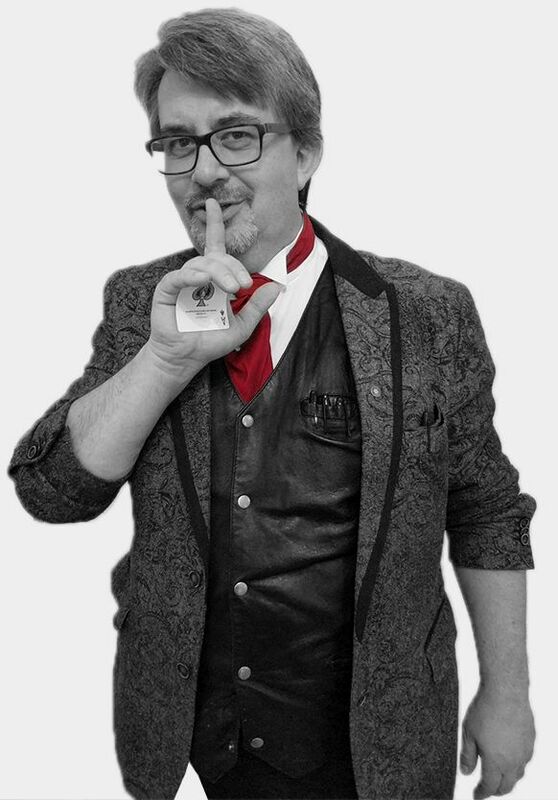 His talents as both a magician and a performer are obvious and his personality and affability made him a very welcome addition to our gathering. Any other info? Dates? Special requirements?